"The world is entering an antibiotic crisis which could make routine operations impossible and a scratched knee potentially fatal". A claim by the head of the World Health Organisation (WHO). In a recent talk by the Director General of WHO, concerns about life-saving drugs for tuberculosis, malaria, bacterial infections, HIV/AIDS or even treatments for cuts becoming useless were brought to light. Antibiotic Resistance is a term that has gained popularity recently and has been of great concern to health professionals. It is used to explain a condition in which strains of bacteria present in the human body lose the ability to respond to antibiotics or in other words, become resistant to the effects of an antibiotic. This becomes a concern when these antibiotics are used and misused to an extent that we stop responding to these drugs, and a previously treatable infection turns out to become life-threatening! Wondering what the cause is? How many of us have used antibiotics to treat a common cold? Almost each one of us reading this article has been prescribed an antibiotic at some point. Statistics has it that almost fifty percent of antibiotics that have been prescribed by doctors are unnecessary! Most of us have grown dependent on these drugs and assume it is the best way to fight any infection. But the fact is that, these antibiotics were originally designed to fight bacterial infections, not viral. But most of the time, a common cold is a viral infection and we end up taking antibiotics for the same! The solution lies in finding out if the cause of infection and this is possible by conducting a throat culture test or any other test that identifies the infection to be either bacterial or viral. How many physicians recommend the test before prescribing antibiotics? This inappropriate use and abuse of antibiotics have lead to antibiotic resistance. Another popular practice is an incomplete dosage. Many of us feel extremely good after taking the first two tablets prescribed to you and discontinue the course. This only leaves the bacteria still alive and resistant to the next treatment. The physician and the patient need to play a role in decreasing the misuse of antibiotics. Physicians should prescribe antibiotics only when a test reveals the presence of a bacterial infection. 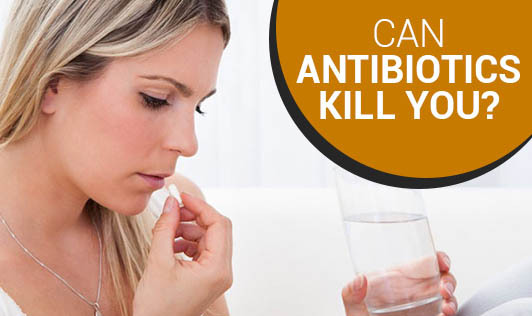 Antibiotics are not effective in fighting a viral infection. This will only increase the resistance to antibiotic activity in the future. It is your health in question, and you should not hesitate to ask the doctor about the nature of your infection. Do not insist on using antibiotics.These common practices of use, abuse and misuse of antibiotics over the years has lead to a crisis today. This has made even simple infections difficult to treat and life-threatening, and this can bring an end to modern medicine! With that note, I'd like to reinvoke in you the importance of a healthy lifestyle and hope that each one of us contribute towards the popular proverb "Prevention is better than Cure"! Well, if this is nature's way of putting those money making pharmaceuticals to test, we should probably start looking at nature's alternative medicine as our next ray of hope!